Pre-packaged and ready to give, for the bride who wants to make her wedding favors easy, easy, easy. 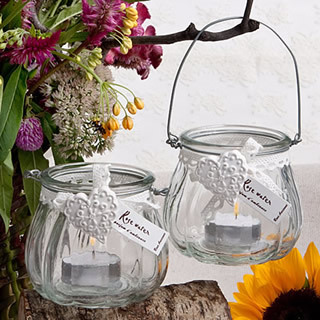 Creative wedding favor containers and tags for the bride who love to add a personal touch to everything about the wedding! Q. I want to do something different and unique with my wedding favors. Any ideas? A. Wedding favors are meant to say "thank you" to your wedding guests for taking the time to share your day. Choose favors that have meaning to you and will provide a remembrance of the day for your guests. 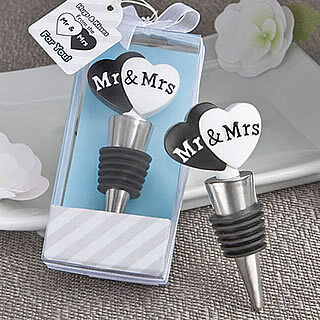 If you are getting married at a winery, nice favors might be wine bottle stoppers. You can add a twist by purchasing several different styles of stoppers so they aren't the same for every guest. And don't forget about the presentation ... consider creatively wrapping the favors and adding hand-written thank you favor tags. This will give them the WOW factor! Traditional Wedding Favors - Did you know? For centuries, almonds were commonly distributed to wedding guests to signify well wishes on the bridegroom's new life. In the thirteenth century, almonds coated with sugar, known as confetti, were introduced. Confetti soon transformed to Jordan almonds, which later evolved into the signature wedding favor for modern day weddings. Traditionally, five Jordan almonds are presented in a confection box or wrapped in elegant fabric to represent fertility, longevity, wealth, health and happiness. The bitterness of the almond and the sweetness of the coated candy exemplify the bitter sweetness of a marriage. 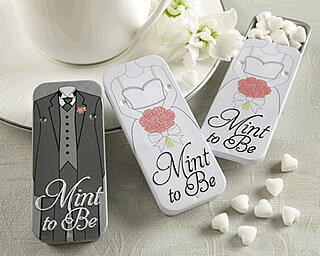 Today, gifts to guests are commonly known as wedding favors and are shared in cultures worldwide. Wedding favors have become an intricate and necessary part of wedding planning and have complemented ceremonies and receptions alike. Wedding favors are so diverse in style, elegance and theme that options for favors are only limited to the couple's imagination!